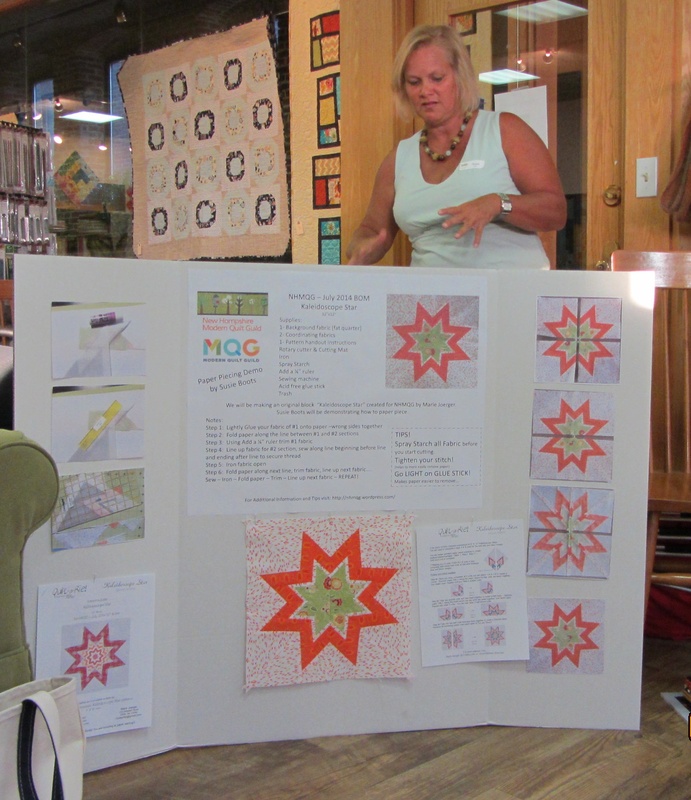 At the July meeting, Sue showed us how to do paper piecing. 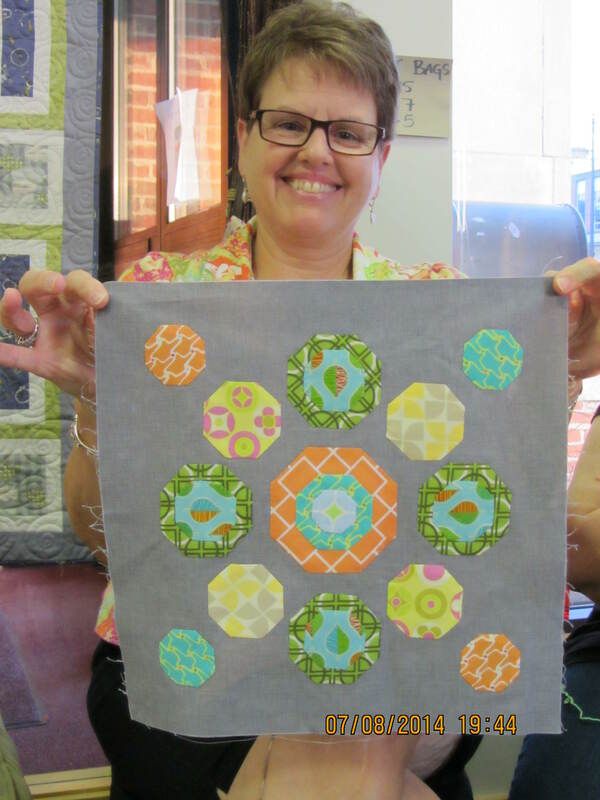 And she introduced the July Block of the Month. 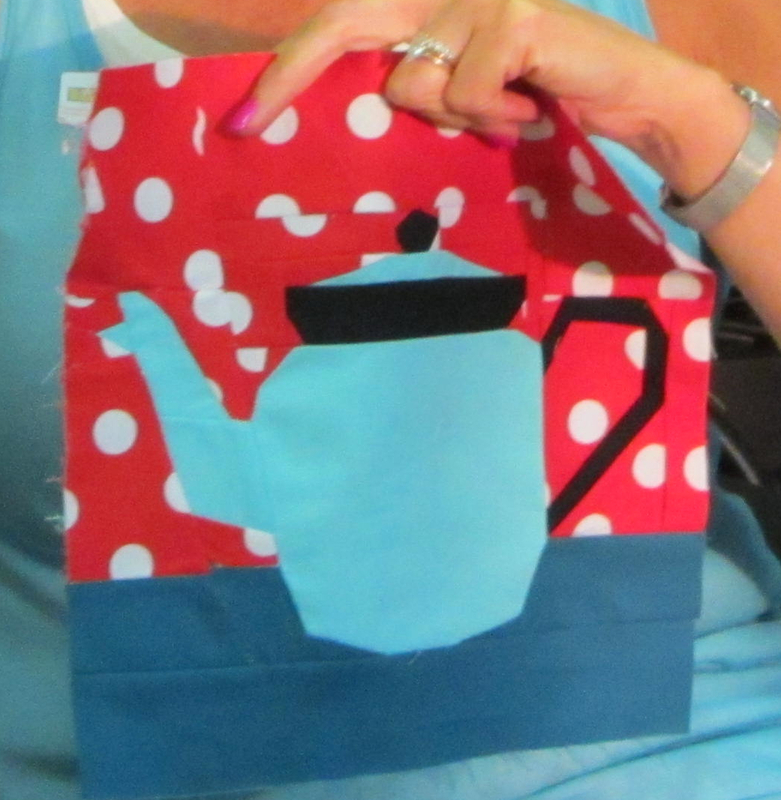 Please note the pattern is now available on the blog! It is listed on the left sidebar with all the other BOM'S! 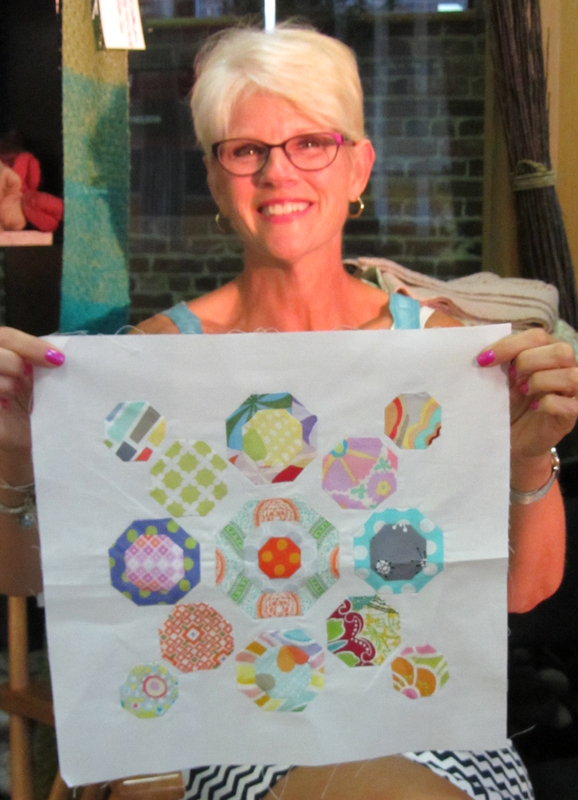 Sue shared other awesome paper piecing blocks. 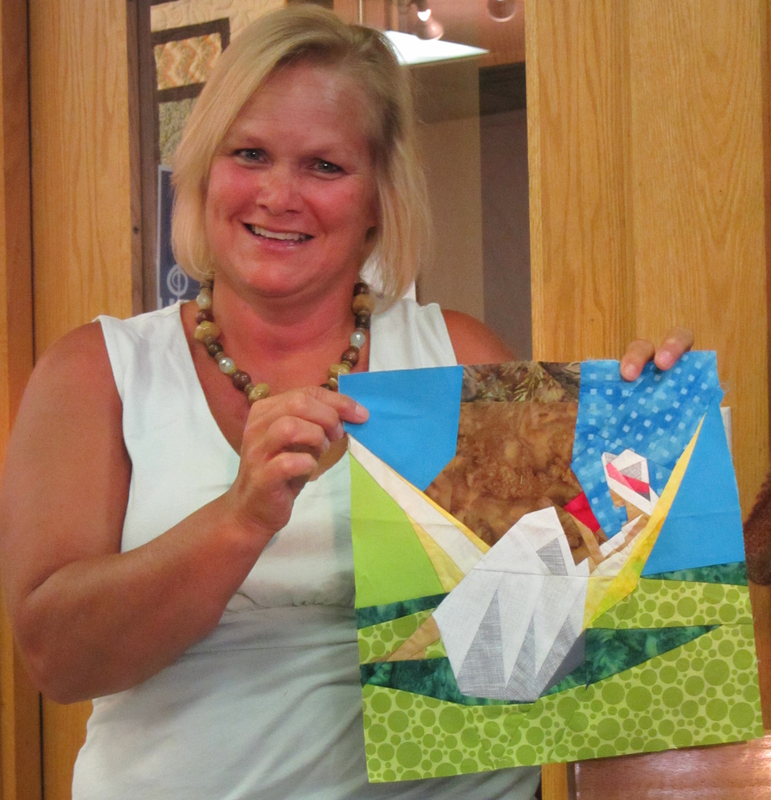 Thank you Sue for sharing your paper piecing skills! 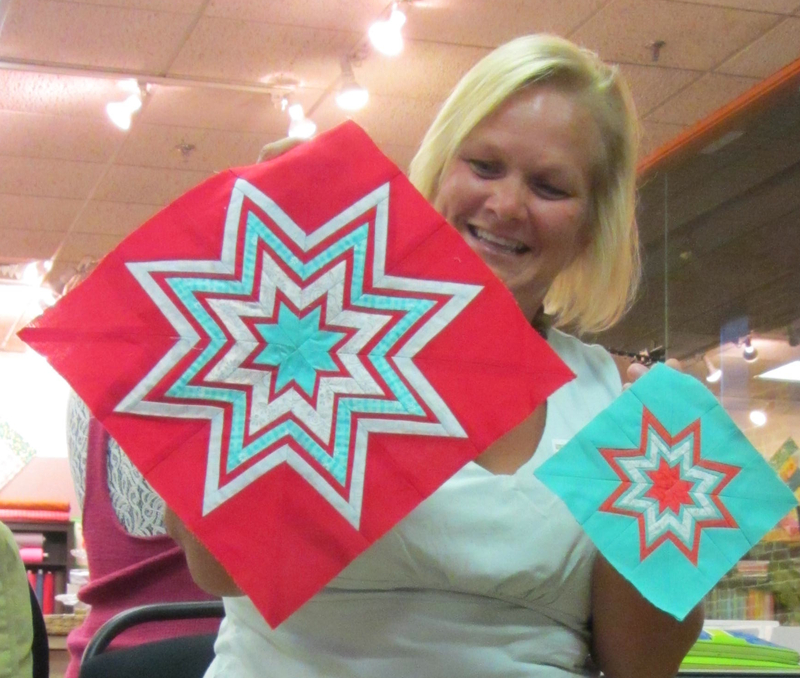 And thank you Marie for the Kaleidoscope Star Pattern! 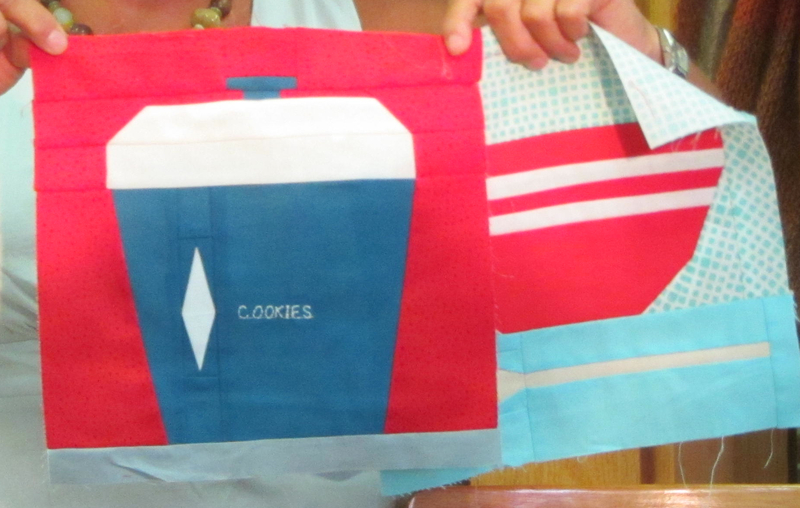 Plan to arrive between 6:30 and 7 for some raffle fun!